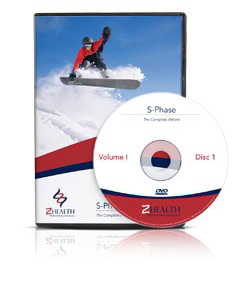 Follow @mcphoo Tweet As a follow up to an overview of R-Phase and I-Phase, the following is a review of Z-Health's excellent new double DVD set, S-Phase: the Complete Athlete Vol. 1 (CAV1 hereafter). It is hard to think of or lay hands on another video that presents training for athletic performance in such a thorough, repeatable and effective way. and, one of my faves, how to get up and going FAST if one finds oneself on the ground. The vid takes each of these topics and presents them in terms of specific drills and drill progressions. In other words, it takes the Z-Health philosophy that athletic movement is a skill, and thus is teachable, and so presents the drills to achieve that skill. Indeed, a unique and commanding features of this package is exactly the way it has disected these athletic movements into skill sets in the first place, and then breaks them down further into trainable, drillable chunks, with these drills. Critically, the drills take the skills learned in R & I phases and put them in applied motion - motion that takes into account the stops, starts and tumbles of real world movement. If you accept the Z-Health position that everyone who moves is an athlete, then CAV1 is the essential complement to the R-Phase and i-Phase progressions. Highly recommended. The following review presents an overview of the S-Phase approach to atheltic movement informing CAV1, and then goes over the topics covered in the DVDs. Running fast, catching or throwing a ball, leaping high (to say nothing of remembering plays) - these are all moves that are usually associated with athletic endeavor. Any one of these moves may have been used by us to self-select out of sports: perceived to be too slow for track, or simply hating ball sports. For those of us of the Kettlebell persuasion, lifting heavy stuff may be about as sophisticated as our athletic experience takes us: no running; no balls. It turns out that catching a ball - the visual accuity required to do this - is a teachable skill in more cases than not. 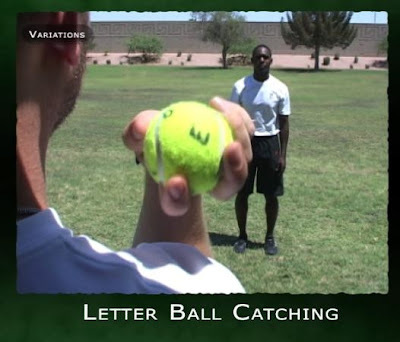 And in more cases than not, an aversion to ball catching has been visually related. S-phase is packed with visual drills to help build the skills to improve visual accuity. Likewise speed, co-ordination of upper and lower body in motion (running one way while looking another to catch a ball for instance), recovery from a fall to get up and going again are all teachable skills. Speed as Skill is personally a Big Deal to me. I have never thought of myself as a fast person - i ran x-country in grad school. Go for distance. I learned a lot about VO2max, stamina, fartlek and tempo runs, but nothing about either going fast or blending that speed with visual work to achieve the S-Phase goal of "quickness." Is the best player, you'll hear Z-Health founder Eric Cobb, DC, ask at any Z-Health certification, either the fastest on the track or the strongest in the gym? More often than not, it's the person who can read the changes on the field, respond and be at the right place at the right time. Great visual skills with speed skills. After learning the skills on this DVD and practicing with them more, i'm pretty confident that a wee gal like myself would be able to start taking bets at the local pub on being able to beat anyone else off the line and in the first 10 meters. Not kidding. Likewise, using drills from the DVD i've had the pleasure to work with another Z-Health trainer who has been traditionally freaked out by an incoming ball. Within the course of a session with the S-Phase Letter ball concept, she was catching with ease, confidence, reduced threat, and ambidexterously. It was awesome to see this skill build and fear of the ball disappear and simply enjoyment in the fun of catching and letter calling increase. These results may seem pretty tame if one is not a sports player - after all, when does one need speed in the realm of the desk jockey? Well, we're not always at a desk; we move in the real world. And sometimes, being able to respond and move quickly can mean the difference between being in an accident or able to respond to one. That may seem extreme, but life is motion. Better quality of motion control on all levels translates into better quality of life. DVD Topics Covered: Starting with Efficiency. Many gaps in teachable althletic techniques are addressed by Z-Health S-Phase. Now while not all of us are on sports teams where making the fastes 90 degree change in position to follow an opponent is necessary, having skills for quickness and efficiency in movement are all Good Things for coping with the world in which we do move and act. Learning Efficient movement is therefore optimal for stronger, less taxing, more beneficial action. To that end the DVD begins with Bone Rhythm. The concept of bone ryhthm is introduced in the R-phase certification on its last day. Now, fabulously, it's detailed in the S-Phase video. Awesome. This set of drills alone is worth the purchase of the DVD is will benefit your workouts that much. I've referenced the technique elsewhere and am delighted there's such a clear reference now available. Guaranteed, adding this refinement to pulls or presses, for instance, will improve the speed and power of the lift (and hence likely enable increased load, too). Bone rhythm effectively means that one gets the top and bottom of a prime mover bone move at the same speed in an action. In a push up, we see this when the shoulder and the elbow finish the move together - both in the press up and in the descent. This move tune alone is worth the price of admission. 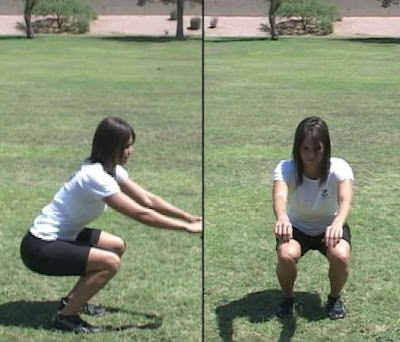 In the DVD both upper and lower body drills are taught, as well as how to cue another person to get the ryhthm. 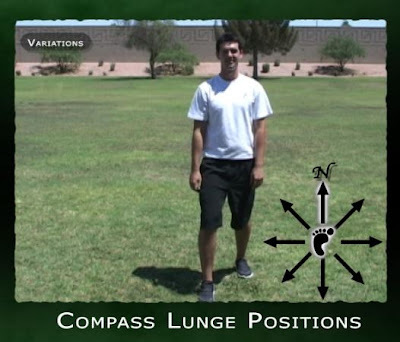 The technique is refined by pulling in some basic work from I-Phase called Compass Lunge Position drills which practice lunge /take off angles and feet positions. These drills will recur in speed work plyo drills, too. 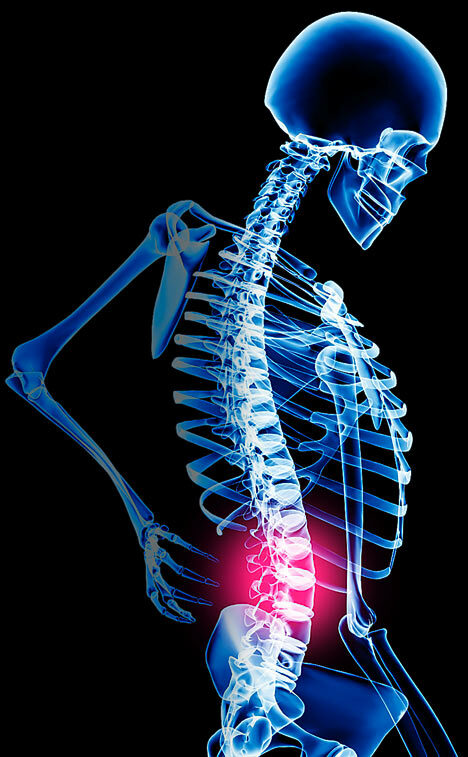 The application of bone rhythm is also presented as part of learning and refining what is often called the Universal Athletic Position or here, the static or dynamic Athletic Ready Stance. Learning how to get into Athletic Ready using good bone rhythm awareness means the difference between achieving a super solid position that's also ready to move, and a position that is unbalanced, easily able to topple and suboptimal for going from ready to move to gone. Because of the importance of the Athletic Ready position for just about any field movement, CAV1 presents both static and dynamic versions of athletic ready position, along with a suite of variations. With athletic ready stance firmly drilled, CAV1 takes bone rhythm vertical. In many sports jumping up (and coming back down) are key attributes of required movement. Blocking a volleyball coming over the net; leaping into a passing shot; jumping over another player about to be tagged out, or simply jumping very high to clear an obstacle. Without going into the explanation of how these movements represent "plyometric training" (see "elastic" at top of post on plastic and elastic for more) suffice it to say that this S-Phase approach to plyo is as distinct as its approach to joint mobility. Imagine simply rising up on your toes from athletic ready, and coming down into athletic ready. Doesn't sound like a depth jump, does it? doesn't sound very violent to one's joints. And yet such a simple drill has huge benefit towards movement speed. And as with R-Phase, the reason is the neural pathways triggered by optimizing joints involved in generating the action. We are visual creatures. We determine where we are in space, primarily by vision, then by balance (vestibular), then by proprioception. Our ability to use our peripheral vision effectively to cue awareness of activity, for instance, and then rapidly shift focus where necessary is again, a necessary and trainable skill. Much perceived speed actually comes from visual quickness: the ability to catch, interpret and respond to visual cues. Because S-Phase teaches both visual and speed drills, it also covers a range of acuites in Vision that are often overlooked in sports training. As Cobb notes at the I-Phase Certification, apparently over 50% of the American Olympic team in Beijing had not had even a vision test, never mind assessments for "sports vision." We may think vision is just near and far sigthedness, but it's not. It, too, is skills based and can have movement dysfunction just like other muscle based motion. The drills provided in the DVD help strengthen and improve that visual acuity for sports, for life, reducing perceived threat, improving performance. CAV1 has significantly more visual drills than either Neural Warm Up I. or Neural Warm Up II. These drills are designed to work each of the 6 core muscles operating on the eyes. One of my favorites is Letter Ball Catching - 1 of many visual drills. This drill alone is another "worth the price of the DVD" for practicing responsive vision - while training and strengthening the eye's muscles as well as prepping to respond to visual cues. Great package. Visual response work will mean faster responsiveness overall. Indeed, the drill is demonstrated as a great way to combine both movement and visual drill work. A key concept throughout Z-Health is that any of the R and I phase drills have best effect when practiced over time at a variety of speeds. Z-Health has 4 described speeds, the last and fastest of which is Sports Speed. CAV1 takes the time to go over key I-Phase drills to demonstrate best practice for taking these movements to the two extremes in speed: sports speed and super slow speed. In case you're wondering why I-Phase rather than R-Phase drills here, I-Phase are advanced "under load" or "alternate position" versions of R-Phase drills. I-Phase enables the athlete who has personally owned the R-Phase movements to explore more athletic positions. These shifts are described more fully in this review of I-Phase. The challenge of the sport-speed I-Phase drills is largely control and work against fatigue. Quality of movement *must* remain high or efficiency drops; injury is associated often with poor form. Since there is a lot of speed work to come in this DVD set, practicing sport-speed I-Phase is a safe and effective way to prepare the body to move efficiently in motion rather than in static loaded positions. Likewise, though, super slow speed means exploring each aspect of a movement drill with specific attention and control. That control of movement to a fine level is a key part of athletic movement control - including getting up to full speed. o Upper body for Speed - and Deceleration. From S-Phase, one of the key takeaways is that speed is a tremendous demonstration of upper and lower body coordination. Combine speed with sports field work, and vision also comes into play, as well as some unusualy physical positions - running while twisted back looking up to catch a ball being thrown towards one; dashing from one side of the court to the other to hit a low ball with a back hand while decelerating. And so on. CAV1 accordingly breaks speed training initially into upper body work and lower body work, which means performance improving drills. 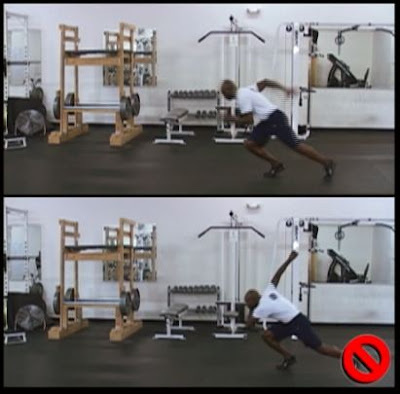 In the upper body section, both arm drills for speed and plyo work for deceleration (yup that's Different Plyo 2, and it means landing from a deliberate dive to grab or block a ball to a less deliberate fall and being able to use ones arms effectively for getting down with the best movement efficiency possible, taking the joint concepts from jump landing training and bone rhythm and putting them together in a solid application for safety and speed). Not something most of us think about outside learning say a judo roll in a martial arts context, but once you see the motion, you start to see it everywhere. And it becomes equally pervasive why training for the move is going to have way better luck than not practicing for it. CAV1's DVD 2 is about speed: starting, changing directions, getting the arms involved and moving optimally to continue speed once you get going. It's especially combining these fast dead starts with the skills for getting up to speed and then maintaining speed that lead to those immenent, lucrative anticipated bar bets. Speed, really, is hugely a skill. After practicing and watching DVD2, i want to go check out that olympic 100m race with Usain Bolt last year and see where he matches the template and where his competetors might benefit from a little S-Phase lovin. "Help help. I've fallen and i can't get up" That was the tag line for an alarm system featuring an elderly woman who had fallen from no apparently height and for no apparent reason, but was now on the ground and effectively incapacitated. She could press the alarm system carried at all times around her neck and someone would come rescue her. Implicitly the business model for this alarm system was that this situation was frequent and broad enough such that one could found a business to help old ladies recover from falls. Z-Health predictably takes a slightly more personally proactive approach: more of the Dr. Seuss, i can read this all by myself. In this case: i can move myself all by myself. If our elder in the commercial was up on her S-Phase practice she would have been able not only to get up, but to have gotten on her way quickly. I'm not joking. Research with the elderly shows that strength, speed and mobility work have huge effects on reducing falls and fractures from falls in the elderly. S-Phase adds in skills to deal with it, should it happen. In other contexts, being able to recover expeditiously from however we got on the ground, such that we're going again quickly can make a huge difference in any situation that requires quick response and necessitates rapid reposition. In sports we see this necessity frequently. A runner falls on the track; a player is knocked down during a play. Life situations are not less infrequent: lying in the grass at the park, and one's peripheral vision picks up the child wandering towards the nice very large wolfhound that has slipped its lead. Seconds count. CAV1 teaches a variety of drills for getting up from one's back or stomach into a posture that will let anyone bolt. Remarkably all that joint jump and deceleration work along with bone rhythm comes strongly into play. Beyond the Content: what makes CAV1 great. The content is plainly sterling. Eric Cobb says that he has been watching the best of the best in athletics. He has looked at what they do to be the best, and has broken down those techniques into skills, and those skills into sub-component drills to develop the skills specifically for preparing to move and then moving. What makes CAV1 all singing, all dancing, however, is not just the content alone, but the presentation of that content. In each segment for a drill, once the How To Do It has been presented, the DVD presents common errors. These common errors are great both for checking oneself, but especially for working with others when teaching these drills. A note here that's another plus is that the athlete in the video provide a range of builds to see the drills carried out. It's kinda inspiring. While Eric Cobb is in the video, as in previous videos, this time he is just another athlete demonstrating the techniques with the rest of the team. Instead of doing a live description, Cobb provides a voice over for each part of the video as the moves are demonstrated. This approach makes it easy to focus on the multiple views of the drills. Live movement is rarely always perfect or always linear. As with I-Phase any of the S-Phase drills can be practiced in multiple positions. The DVD spends time demonstrating many useful and usable variations for most of the drills presented. The visual introduction for each drill features pictures of athletes demonstrating live versions of the drills about to be presented. This kind of reality check provides a solid context/rationale for the ubiquity and relevance of the work about to be presented. 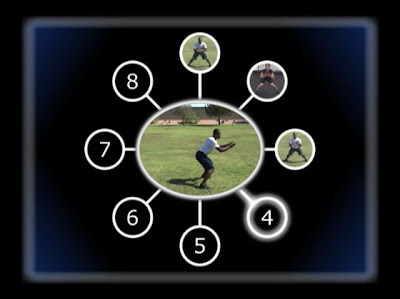 The video uses split screen to provide mutliple angles for a move as well as demonstrating why using the correct technique vs not the shown technique (but perhaps a typical approach) is sub-optimal. If i had one request for this S-Phase video it would have been to provide a subtitles track for the video. I work with several athletes who have audio impairments; being able to read the script for the video would help; likewise i'm just frequently in contexts where watching something with the audio turned down is a necessity. Having those on-demand subs tracks are golden for these occasions. Each drill is capped with a review of an itemized review of each of the components of the drill to ensure success. These review charts are, again, one more reason to get the DVD's: they are clear, clean and useful distillations of what has just been taught. One of the most enjoyable parts of the DVD is the closing credits. Not just because they tell you who was involved in some great production (including Shannon Mauck, producer/director), but because they feature the Z-Health trainers/real people who made this video, most of whom also happen to be RKC's. What is this kettlebell/z-health connection? In the context of this video, that connection is particularly cool. We are seeing people whose significant athletic gig is swinging heavy metal balls, not running around a field with a team (there is one exception in a 400m runner/rkc), and yet hear they are, being super quick, cutting fast, loose and efficiently. That's powerful stuff. And again, why i, the self-imagined slow girl, could see getting the jump on those younger patrons at the Local watering hole. What about R&I phase? Are they Pre-Requisites? After all this excellent news about what's covered in S-Phase one may want to know do i have to know R & I phase before i can do S-Phase CAV1? PLEASE NOTE: Z-Health programs are progressive in nature and our PRIMARY concern is your safety. Please DO NOT purchase S-Phase unless you have a thorough grounding in both our R-Phase and I-Phase programs or have worked with a Z-Health coach. If someone absolutely insists on diving into S without R and I, there is a program included on a DVD insert to help get a participant up to speed. But yes, a thorough knowledge of I-Phase drills (and therefore the R-Phase foundation that precedes R-Phase training) as the warning note says, just makes dropping into the S-Phase work fast, easy and injury free. Speed is Fun. Moving fast and with ease, efficiency, is fun. Being able to get going from any position is fun. Addressing visual issues that have increased threat and decreased ability is awesome fun. We are physical beings, designed to move. To my knowledge, this is the only video of its kind to put together technique drills to teach the skills behind these demonstrations of movement control. Learning these skills let those of us who have felt slow feel fast perhaps for the first time. From discussions with sports athletes, these techniques directly enhance their performance. From a Z-Health perspective of letting us "improve the neural map" of our bodies to be able to respond to the world we move in better, S-Phase is rather the sine qua non of Z-Health movement, in motion as opposed to static positions. If you've been doing R- and I- Phase, S-Phase goes to a whole other place, translating that work into movement - fun movement, and oh ya, superlatively excellent training for any athletic endeavor - like life. The enthusiasm and energy you write with about Z is infectious. I just want to do it! I need to check when the next course it and get myself sorted! Looking forward to the Dragon Door Z-health seminar this month! (1) You've been certified through RKC / CK-FMS / Z etc. and yet you don't identify as a sports-playing athlete. My question is, why don't you pick up a club-level sport? Soccer or football, rugby or Ultimate, TKD or MMA? If you believe Popper, then science is about falsifiability, and you'd have even more street cred if you had all these certs, the brains to explain it, and real-life experience at club or amateur levels! Thanks Rannoch. You'll love it. L.Wu - thanks for dropping by again. have you ever read sherlock holmes response when he was confronted by the non-inspiring nature of his abode's address? you got me thinking about sport sports: or what most of us would call "team sports"
where i grew up, playing softball when there was no snow and soccer when there was was a survival skill. I have all the scars - both emotional and physical - from that experience i care to have. i've got the chops; paid those dues. In grad school we played softball in the summer to break the ennui of research. So pick up games are where i'm at these days. thanks again both for the kind words and encouragement. The best part is hearing you're keen to get into it for yourself. Lifeskills. we should all have this stuff in school as kids. I just read your long post on the various phases of zhealth. Great article; detailed, grounded, and well written. If only all bloggers were so good. 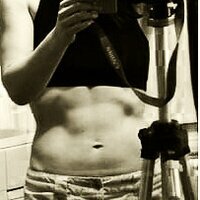 I purchased the r phase DVD and have gone through week 7 of the initial exercises. Haven't had the major results others seem to be getting but at least one of my shoulder joints no longer has the snapping and popping that it used to have. Thank you and way to go with 7 weeks of R.
Great that your shoulder is feeling better. THe big "ah ha"'s with R really seem to come from precision. And sometimes precision is hard to get without a coach - as with anything a form tune up can make a world of difference. For instance, toe pulls were an absolute revelation to me after i'd been doing them for 3 months or more and thought i knew them. I'm at the 9S z cert right now, and just had another z coach work with me on wrist circles which i had also felt pretty good about. But wow that extra cuing to check full range and targets is huge. That said, what you may find are the more subtle effects: like just general well being, more energy or well being, AND watch for examples of your reflexes being quicker when that jar lid goes flying off the counter!